Why does my child have Down syndrome? If you have read the ABOUT page on this site you already know that my beautiful wife and I have a total of four kids. What you may not know is that my wife was somewhat of a “tomboy” growing up. She loves sports and always envisioned having a house full of boys when she became a mother. But that is not what happened. Our first three kids are amazing girls. Yes, that was not what Leigh Ann had thought would happen but we would not trade our kids for anything. In fact, I could go on and on and on about how amazing each one of those girls is; I will save that for another time. I thought we are all set as a family of five. However, somewhere deep inside of my wife she had this desire for one more child. I resisted. I felt like we already had our hands full and good not imagine adding another person to what I call “our cloud of chaos.” Yet I did give in primarily because I could see how strong the desire and feeling of incompleteness were for Leigh Ann. Well, getting pregnant was not exactly easy for us. We sought the counsel of a fertility doctor and were told that we were done having kids. I was alright with that fact, Leigh Ann was not. It took several months before she was able to come to terms with this reality and then move on with life. She had finally gotten to the point where she felt like our family of five as complete. Then it happened – we defied the odds. Leigh Ann was pregnant. It was a miracle! Being that this was our fourth child we settled into a normal routine without a lot of excitement. We had been down this road three other times and had three gorgeous girls to show for it. At that time Bailey was about 11, Taylor was around 9, and Lindyn was 4. It was spring so the older two were in school, I was busy at work and Leigh Ann was home with Lindyn when she was not in preschool. One day Leigh Ann had to run some errands at the mall with Lindyn. They stopped at one of Lin’s favorite stores when Leigh Ann had a gush of blood. This was not good! We had heard stories about people who had miscarriages but Leigh Ann always had good pregnancies. Not this time. Our miracle baby did not live past the first trimester. That was a very painful experience for our family. The kids cried, I cried, Leigh Ann cried. It did not make sense. We were told that we were done with kids and had finally gotten to a point where we accepted that fact. Then we got pregnant which must have been a miracle from above because the science said were couldn’t get pregnant. Then the baby died. One of the most loving yet painful memories for me is when our Lindyn, knowing how her mom was hurting said, “Mom, I wish I could get a bunch of balloons to take me to heaven so I could get our baby for you.” We were hurting. The only way to go on was to grit our teeth and push, hoping that it was true about time. Would time really heal the pain? Several months later we had a second miracle, Leigh Ann got pregnant again. We were a little shell-shocked still but were smiling on the inside. It seemed like we started to breathe a little easier once Leigh Ann made it past the first trimester without any issues. That is until November 25, 2008. That is the day that an ultra-sound image showed a little extra water around the baby’s heart. Kaboom! There you have it. Where is Jonah hiding because we need to throw him overboard! That little discovery put us into the high-risk pregnancy category which meant we got to see a different doctor, see him more often, and get a lot more pictures of this baby than we did with our other kids. We were told not to worry that there was only a 3% chance that something could be wrong. So, as an optimist I focused on the fact that there was a 97% chance everything was fine. Leigh Ann, however, is a little more pessimistic (or if you are a pessimist you would say she was realistic). She was not at peace with the situation. She will tell you that she knew something was wrong. I was good with that. Although Leigh Ann loved to hear that good news, she was still not fully at ease. Leigh would continue to worry for the remainder of the pregnancy. So when people ask us if we knew that Treyton had Down syndrome before he was born I say a definite “no” but Leigh Ann will say that although we did not really “know” she knew in her heart that something was wrong. If you have kids you will know what I am talking about when I say that the ride to the hospital just before your baby is born is like no other. Sure, there is the stress and excitement involved with wanting to get to the ER in time but I’m not talking about that. I’m talking about the knowledge that in a very short period of time your life is going to change forever. You have anticipated this moment for months, it seems surreal. The time has finally arrived. You will soon be able to hold a small piece of heaven in your arms; that perfect little gift from God you had been dreaming about. I believe that every child is a gift from the Creator of All regardless of circumstance. However, some situations can make it more difficult to embrace that fact than others. Think about what it feels like to hold your perfect little bundle in your arms for the first time. Now picture the doctor walking into the room and telling you that the baby you have been dreaming about, the one you have carefully wrapped in a blanket and sleeping in your arms has an extra copy of the 21st chromosome. At that point the walls seem to close in on you, the rooms gets foggy. You just went from being on top of the world to drowning in the deepest depths of the ocean. It is not a matter of love for the child; I am talking about the shock of thinking you are headed down a familiar path. The path that everyone you have ever known has walked down. But now you learn you are headed in a completely different direction and you are headed there alone. At some point you are going to ask “WHY?” Why do you have to be the one with the “special” baby? Why did God make it so you could get pregnant even when you were not supposed to be able to, allow that baby to die and then give you one with a disability? Why, when you finally get that little boy you have longed for did God decide to give him a little something extra? Why did my kid need that extra chromosome? Yes. At some point the questions will come. You may start asking the questions right away or you may not. It might not be for a year or two as you spend time with your friends and their children. It is then that you see that your child is not developing at the same rate as other kids his/her age. 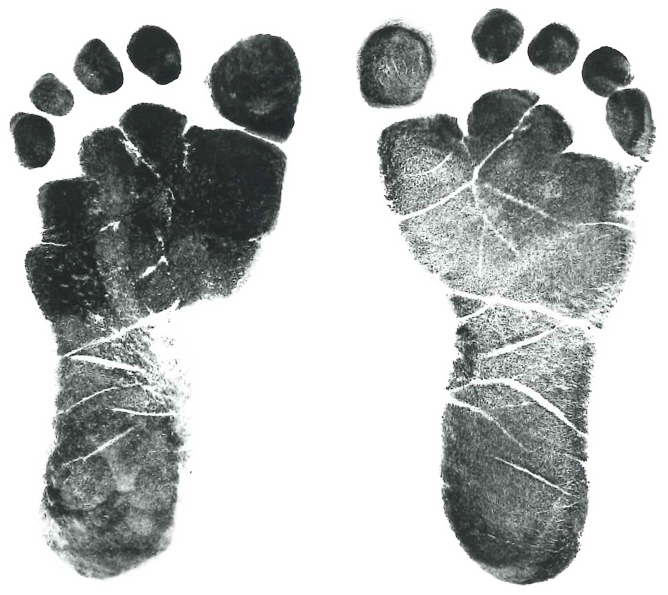 The difference in reaching milestones is accompanied by a different growth chart as well as various medical challenges and people (professionals) begin to talk about the difference between your child’s biological age and developmental age. This might be when you start to seek out a greater purpose for your child’s disability. Whatever the case, sooner or later you will begin looking for answers to the “why” question. Before Treyton was born I did not know much about Down syndrome. As I wrote in the post, “The face of Down syndrome,” I am a different person now. But that change has been a process, one that is on-going. Part of that process is realizing how little you know about your child’s disability. The next step is regretting your ignorance and then trying to fill the knowledge gap. One of the first things you learn is that Down syndrome only occurs at a rate of 1 in every 700 births. You discover that there are three types of Down syndrome, of which, only one of them is genetic (Translocation). Mosaic Down syndrome and Trisomy 21 (90% of people with Down syndrome have T21) are random occurrences. For whatever reason the 21st chromosome did not split correctly and your child ended up with some extra DNA that causes Down syndrome. Is that it? My kid has a disability because of bad luck? There has to be more. Maybe my wife was too old. Nope! That’s not it. Sure the chances of having a baby with Down syndrome rise a bit when you hit 35 but 80% of all babies born with Down syndrome are born to mothers that are younger than 35. The reality is that there are no known behavioral or environmental factors that cause Down syndrome. Science says that the parents did not cause the disability. It seems like random bad luck. Does my son have Down syndrome because of my sin? The science says that there is nothing a parent can do to cause Down syndrome in their child but what about the spiritual side of things? 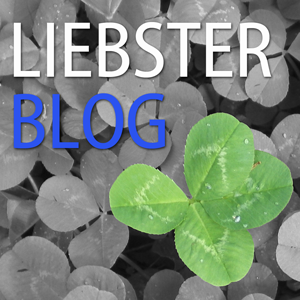 Did I commit such a bad sin that God is punishing me by giving my son Down syndrome? I don’t think so but before I start down this path let me explain something. At one point in my life I was headed into full-time ministry. I studied for two years at Moody Bible Institute in Chicago before heading into business. One of the things I disliked most about the world of ministry is what I considered to be pointless debates about theory. In my mind most religious debates take place between people who consider their own opinions to be “biblical truth” and ignore the fact that the other person is doing the same while at the same time using the same book to defend their argument. What a waste of time that is very counterproductive. I am providing this bit of background for a couple of reasons. First, as a Christian, I believe most of us that wear that title tend to easily fall into the trap of missing the point. We can get so caught up in wanting to be right in fact that we miss what I believe is the point and that is being right in the way we live. Secondly, I want you to know where I am coming from and want you to know that I am not trying to convince anyone to believe a certain way about God, religion, or the Bible. That is not why I am writing but to try to hide my personal beliefs feels a little deceptive. It’s not because of your sin that your child has Down syndrome. Maybe he has Down syndrome because I am such a saint? Tell me this, how many times have you been told that you were given a child with special needs because you are such a special person? I mean, God would only have given you this child because you could handle it, right? I am not sold on this logic and I am not the only person. 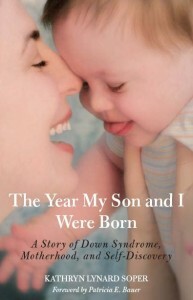 Shortly after Treyton was born I found a book called The Year My Son and I Were Born: A story of Down syndrome, motherhood, and self-discovery by Kathryn Lynard Soper. This book is what I would consider a fairly intense autobiography detailing the author’s experience of giving birth to a child with Down syndrome. Soper is very honest about her personal struggles, the challenges of bringing a child with special needs into a family, as well as much of the pain that is unique to being part of a religious community. Are you special? I know I’m not. Also, what a crappy thing if your kid was given a disability just because you are such a wonderful person. My opinion is that the people who feed you this line don’t really think you are special either they just don’t know what else to say. What they really want to say is that they are glad it is your kid that has the disability and not their own child. They are also afraid to admit that it does not seem fair. It is hard to come to terms with believing God is a loving God yet He allowed my child to have Down syndrome. If you have a child born with a disability and as a result has begun to question your faith in God, or religious beliefs, or whatever, you are not alone. If you have continued to read to this point I think it is only fair to lay it all out there on the table. I don’t think there is a singular answer to this question. I really believe that either there are a thousand different answers or there isn’t an answer at all. I don’t think you can know for sure. What I do know is that have a beautiful son that I love very much. I know that I have been asked the hypothetical question, “If you had the choice would you choose for Treyton to have been born without Down syndrome?” When I tried to answer that question I couldn’t. On the one hand, I don’t want my kid to have to deal with this disability. I don’t think it is fair to him. But, on the other hand, I can’t imagine Treyton any other way. I know I have an amazing little boy named Treyton that came into my life on March 20, 2009 and I am forever thankful for that. I know that he has a disability that causes cognitive delays as well as various health problems. I know that he is my son and I will be there for him no matter what. I will be there to help him become the man God intended him to be. So to get back to the original question, you need to decide why you have a child with a disability. You can’t change what is. Stand up and do something with it. Make a choice to be there for your kid. Help your kid to succeed despite having a disability. 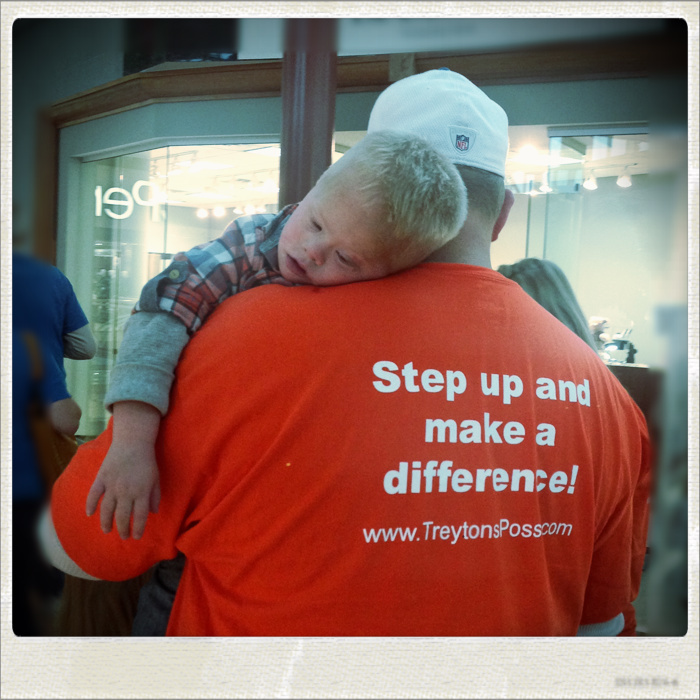 Join me and a thousand other parents as we show this world that people with Down syndrome have something to offer. They have unique gifts, talents, and personalities. Soper said it well in her book when she said, “Down syndrome is a challenge not a tragedy.” Take a look at the Four-Leaf Clover poem; I believe that I have been blessed by being given the opportunity to be Treyton’s father.